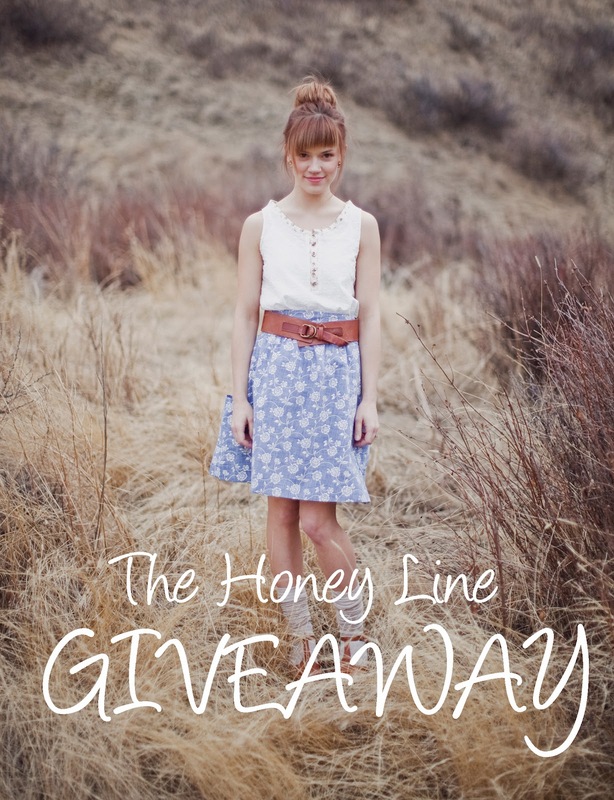 Life Like Honey: The Honey Line Giveaway! Currently I'm in the process of making hanger room for current and upcoming sewing projects. It saddens me that a few pieces from my collection, The Honey Line, Part 1 and Part 2 are hidden away in my closet. Truth is though I've given away a few of the items and I've even kept some for myself to wear I just loved those garments so much that it's hard to sell or pass them on. But what good is it to store things up when someone else could wear and enjoy them. So today I'm excited to host my first ever giveaway! This giveaway is for this cute, loose fitting, cotton eyelet tank top with half way buttons down front. It fits from a size small to medium. It's perfect for summer and goes with so many styles. I know you'll love it! This giveaway is open internationally and will be open for entries until 8am, Friday, June 8th. I will make the announcement Friday afternoon of the lucky winner. To enter all you have to do is follow my blog and tell me one of your favorit summer activities. The winner who's name is randomly chosen will be contacted Friday afternoon. Best of luck to everyone! You know I MUST win!! Eeeep! Of course I follow you! And my favorite thing about summer is all of the adventures I take!! :D camping, hiking, bbq's, carnivals, and more! obviously i'm following you. umm and i love your style.my favorite summer activity is bike riding. its just the best. OH MY GOODNESS!!! THAT SHIRT IS ADORRABLE!!! I WANT!!!! I follow you!! and I LOVE summer because it's... FREEDOM!! This top is adorable! I absolutely love the floral trim detail. Please randomly pick me :) I'm also obviously following you. Congrats on your first giveaway :) One of my favourite summer activities is picnics..though whether I'm living at home in Ireland or more recently in Scotland they're always a rare occurrence owing to the crazy all over the place weather! oh I follow your lovely blog, of course! and that top is adorable! hmmm, my favorite summer activity would probably be spending time at the beach or sitting outside with a good book and getting a tan=) it's too hard to pick even:) thanks for hosting this lovely giveaway! 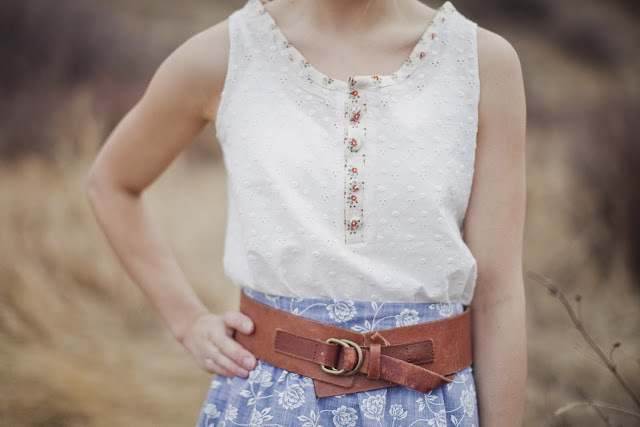 Summer is the treasured expression of perfectly white eyelet tops with spring floral print trim. Along with westward winds which blow you back to me. And one of my favorite summer activities is just having bonfires and going to the lake. Spending more time with family and friends too! Oh my goodness...I have loved your Honey Line!! I would absolutely love to win this top—perfect for summer evening walks (one of my favorite activities) or a weekend away. Fingers crossed! I was lucky enough to get an ice cream maker for Christmas, so making and eating ice cream is a definite favourite. That top is adorable!! I follow your blog on Bloglovin'. One of my favorite things of summer are wildflowers overtaking my garden. I LOVE this! So sweet. My fave summertime activity: sitting on the porch with my husband in the evening, drinking an ice cold mango drink! This is so beautiful, I hope I win! I follow you. And I'd have to say my favorite summer activity is sailing - which I wish I could do more often! I'm sorry to comment so many time like a crazy person. I did not realize you MADE this top, its SO beautiful! I am definitely following along now, I cannot wait to see more of your line, it is absolutely gorgeous! A favorite summertime activity of mine is waking up early and driving to a place somewhere in the woods or mountains to drink iced coffee and snap some pictures. It is so peaceful at that time of day with hardly anyone else around, and well...coffee makes everything better! Thanks so much for this amazing giveaway, fingers crossed! One of my favourite summer activities is taking walks and bike rides in the night! I just love the atmosphere of a summer night - such freedom! And if it's combined with a little picnic then it's perfect. :) Thanks for a great giveaway.